At No. 1 we have newcomer Simon and the Whale, a beautiful neighborhood restaurant that draws its culinary inspiration from the American coasts. Nestled into the Freehand New York, the restaurant got its name from Owner Gabriel Stulman who was inspired by the whale-patterned gifts his son, Simon, had been receiving. Chef Matt Griffin created an American menu for the concept with several raw seafood starters, simple options like a fish sandwich with coleslaw, and more demanding dishes like the roast guinea hen. If you’re trying to kill two birds with one stone, Stulman also runs Studio upstairs at the Freehand, the No. 6 ranked restaurant on our list. Narrowing down the best of the best in New York City's food scene can be tough. Thankfully, there is our Foodable Top 25 to help guide us. From that list, we took the top ten leading chefs at New York City’s most beloved restaurants and highlighted them, uncovering their background to success. Here are the finest chefs in the city highlighted from Foodbable's Top 25 restaurants. Philadelphia’s burgeoning food scene has attracted talent from some of the top culinary hot spots in the country. You simply have to walk around Center City to see the growth and the richness in choice and experience that have become available to the Philly foodie. “The current food scene in Philadelphia — the best way to describe it — is flourishing,” Chef George Sabatino of Aldine Restaurant said. 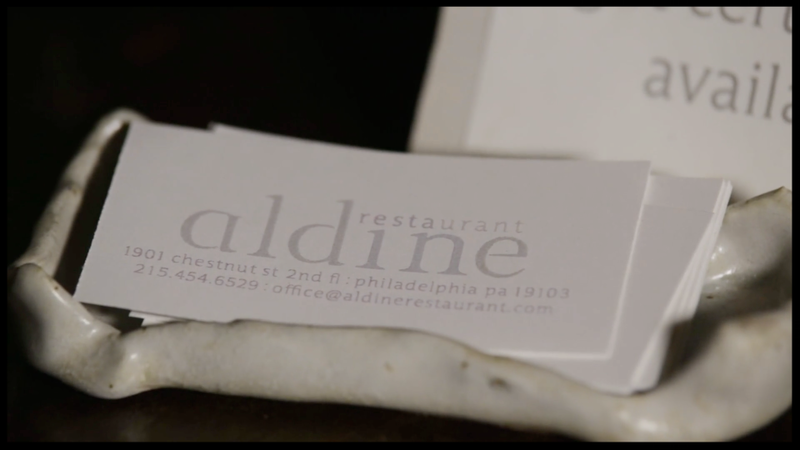 In this “Table 42” vignette, we follow Philly native Sabatino, who opened Aldine Restaurant just two years ago, but the business has already made huge strides for being so young. (For one, this restaurant is No. 1 on Foodable’s Philadelphia Top 25.) Aldine’s kitchen reflects the cuisine and style that is entirely Sabatino’s own. What is his greatest culinary motivation and inspiration? To bring a local, farm-to-table cuisine with a passion for aesthetic and, of course, flavor that is uniquely Philadelphia. “I think a lot of chefs kind of go and travel… Go to Chicago or New York and work with big name chefs. I never did that. I kind of got fortunate — I’ve cooked here my entire time,” he added. Our recent exploration of Philadelphia has revealed a group of culinarians with sense of pride and community. Make sure to check out our other episodes Fast Casual Nation featuring Matt and Marie's, Table 42 Vignette featuring A. Kitchen, and Across the Bar featuring A.Bar as we continue to explore the growth in Philadelphia. As the food scene in Philly continues to boom, we decided to make our way to the City of Brotherly Love to visit one of Philadelphia’s Top 25 Restaurants. a.kitchen, located at AKA Rittenhouse Square, boasts an impressive wine program along with its Modern American cuisine. Mike Fry, sous chef at the High Street Hospitality Group restaurant, talks to us about how a.kitchen makes the most out of its summer bounty. “We try to make use of preservations techniques, which is another staple of the Pennsylvania Dutch, taking the bounty of the summer, stretching it out throughout the seasons, which is something that has been going on forever in every culture, but Pennsylvania Dutch are especially good at it, as far as canning, preserving, drying, using that to stretch your produce throughout the year,” said Fry. The menu is constantly changing in accordance with the seasons, however. “If in December we know that we can not longer get [a] really high-quality tomato or squash, then we take it off the menu and replace it with something that we can get locally that is going to be good in the winter. For instance, root vegetables or something dry or preserved,” Fry added. In this Table 42 Vignette, Sous Chef Mike Fry demonstrated for us a.kitchen’s signature dish: a seared Long Island duck breast with mushroom ragu, baby summer squash, and a mushroom exodus sauce. He begins by rendering the duck breast on a pan to achieve a crispy skin with a medium rare center. Then, he seasoned wild mushrooms with olive oil and salt and simply grilled them. Baby summer squash is later sautéed in a pan for a short period of time because it does not require much cooking time. Finally, he creates a ginger and chilies sauce hydrated with duck stock to add depth to the dish before plating it to perfection.